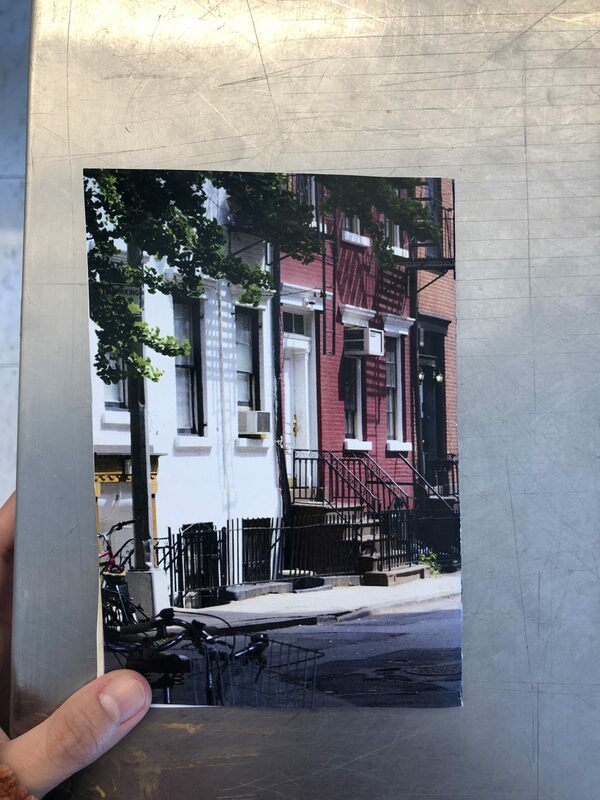 This project was about researching a neighborhood in NY and creating a zine about it. 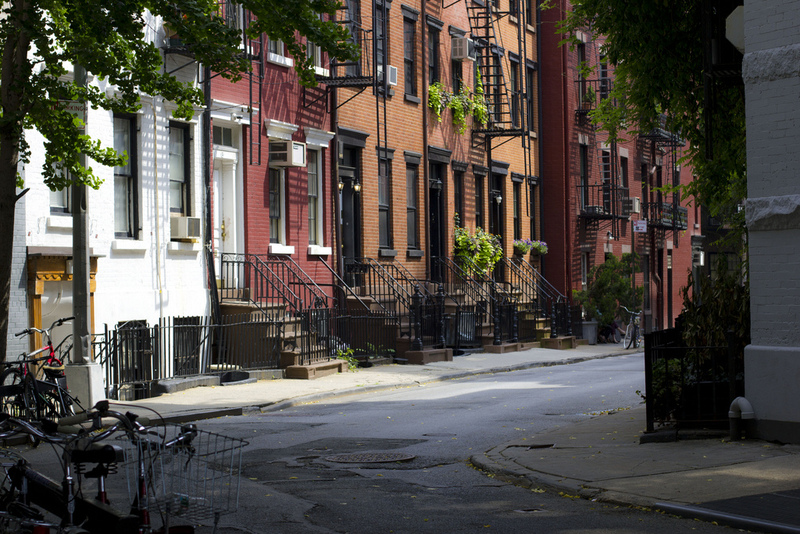 I chose the West Village in Manhattan but more specifically, the Stonewall Riots’ story in the West Village. I researched my topic and visited the LGBT Center archive to get more information about my topic. 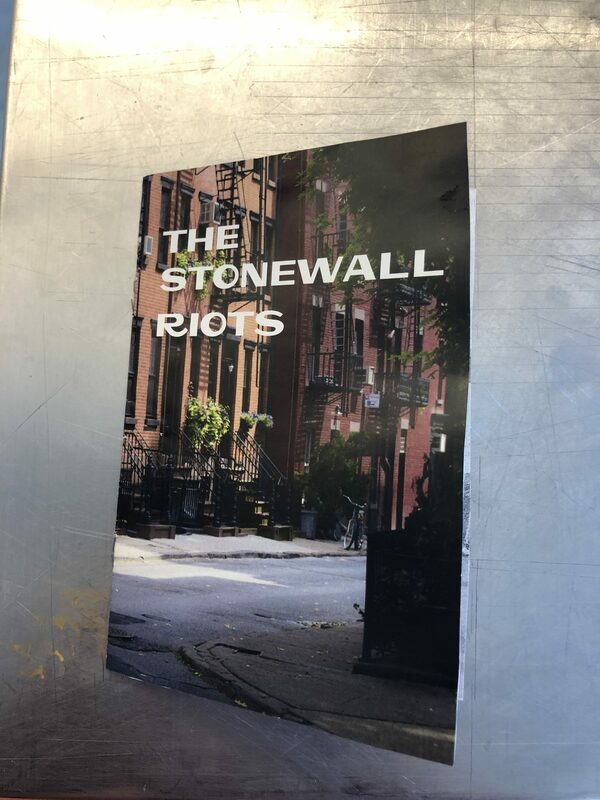 I found many photos of many important events for the LGBTQ community’s history. I also talked to the archivist and a few of the volunteers at the archive about the riots and the many hidden secrets behind the riots. I took photos of the original photographs of Leonard Fink’s collection from the first gay pride parade at the Center archive. 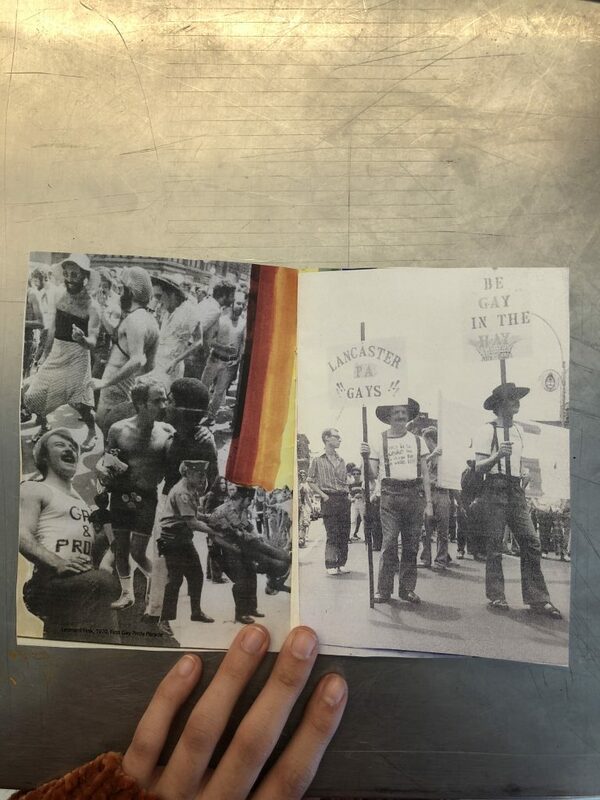 Then I printed them, and made a collage that vaguely sums up the first gay pride parade in one photo (that turned into two pages in the zine). Then I drew over the collage with my markers and over the pages that were supposed to be for the story text part, and i tapped text boxes. 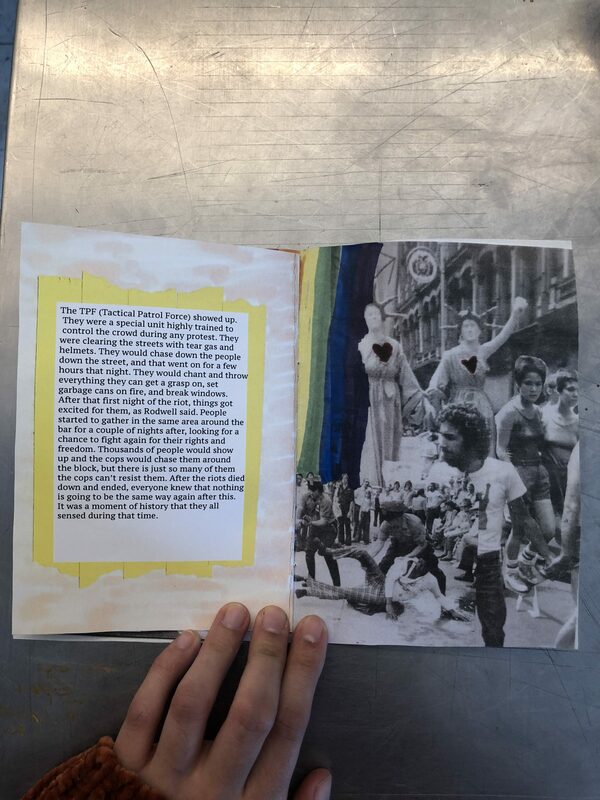 I scanned my collage and and the pages and drew on, uploaded them on illustrator, then i made my edits; adding the title, the photos credits, and the story. 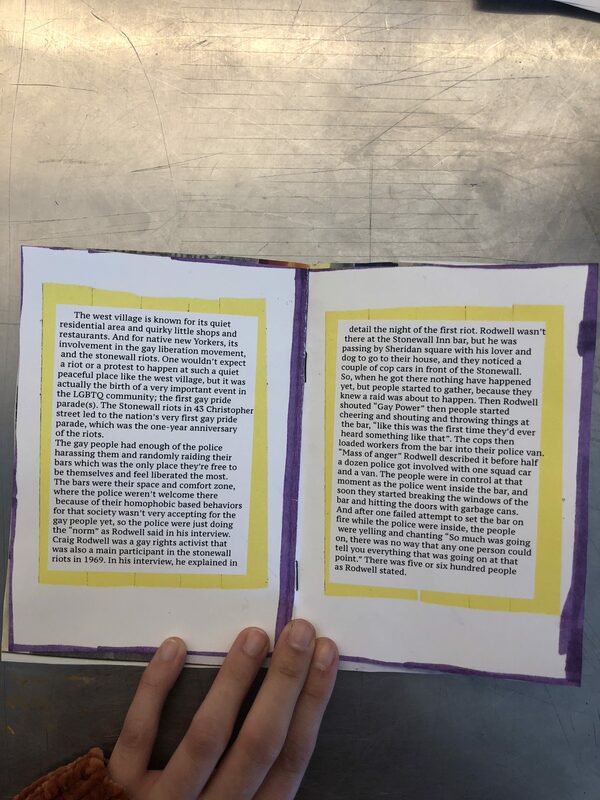 After printing it, I glued every two pages together, then folded them all in half, and stapled them in them middle.